Paranormal Talk Radio with special guests, paranormal topics. 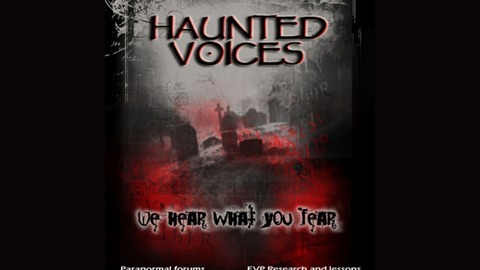 This show will focus on Electronic Voice Phenomena, Ghost Photography, Training, and information on hauntings. 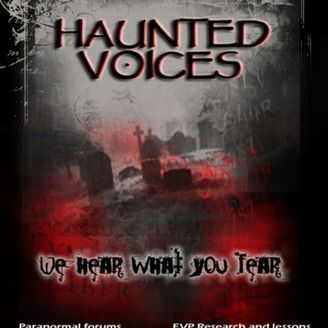 HVRN(Haunted Voices Radio Network) is a Not For Profit radio network. Our goal is to serve the community regarding paranormal awareness, with live radio programs, free archives, free live chat and interactive member''s forums. Membership with the HVRN Corporation is free of charge to the community as we are here to serve you! We offer you all of the above at no cost to you and are strictly supported by community donations and sponsorship. If you have any feedback or suggestions for our programs, please feel free to contact us at anytime and we would be glad to address them in our monthly meetings. HVRN Corporation is an international based live streaming network with several syndication's to better serve you. We are filed as a public charity Corporation through the State of Illinois and have been proudly serving the paranormal community since November of 2004 when the organization was founded by Todd Bates. His goal is education and not financial gain and will do all in his power to provide that for you. Join your host Todd Bates as he interviews Psychic & Exorcist Jeffery Seelman.